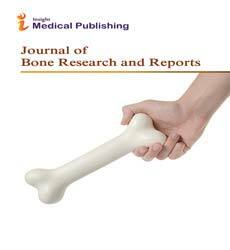 Objective: To compare the amount of non-enzymatic and enzymatic collagen crosslinks in bone specimens from total hip replacement patients with and without type 2 diabetes (controls). Methods: This ex vivo cross-sectional study included 34 bone specimens (13 from patients with type 2 diabetes, 21 from controls) from men and women ≥ 65 years. All participants were undergoing an elective total hip replacement due to osteoarthritis. Cancellers cores were extracted from the interior of the femoral neck/head and bone cores were reduced to approximately 50 mg of powder. High performance liquid chromatography (HPLC) was used to quantify pentosidine, pyridinoline (PYD) and deoxypyridoline (DPD), which were normalized to collagen content. The mean (SD) was calculated for continuous variables and an independent Student’s t-test was used to compare crosslink content between groups. Results: 13 specimens were collected from participants with type 2 diabetes (mean [SD] age 73.8 [6.2] years) and 21 specimens were collected from controls (mean [SD] age 76.7 [6.8] years, p=0.222). There was no between-group difference in the amount of bone pentosidine (type 2 diabetes: 2.07 [0.94] mmol/mol collagen vs. control: 1.99 [0.60] mmol/mol collagen, p=0.753), PYD (type 2 diabetes: 219.2 [25.3] mmol/mol collagen vs. control: 208.1 [25.8] mmol/mol collagen, p=0.227) or DPD (type 2 diabetes: 132.3 [25.9] mmol/mol collagen vs. control: 130.0 [22.8] mmol/mol collagen, p=0.787). Conclusion: Elective total hip replacement patients with and without type 2 diabetes have similar collagen crosslink profiles. Future studies should consider potential confounding factors, such as bone turnover rate, which may influence collagen crosslink content.